This website was created as a public service for residents of Chino Hills, CA, and surrounding areas. The main page is live and is updated approximately every 6 seconds to keep you informed of rapidly changing weather conditions. The site began in March 2005 just because I thought it would be fun to see the weather conditions in by backyard from anywhere via the internet. The site has evolved over time as I learn different techniques for presenting weather and weather related information on the web. In the sections below is a high level view of how the information gets from the weather station to your screen. I always welcome questions, comments, or suggestions about this site. So, feel free to contact me. 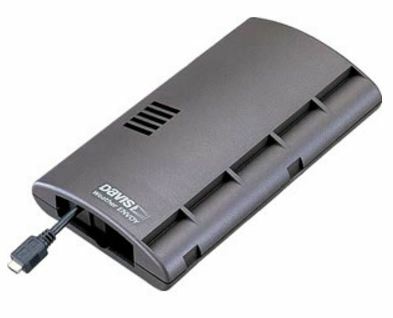 The weather station is a Davis Instruments Wireless Vantage Pro2 6153 with a fan-aspirated radiation shield for the temperature/humidity sensors. The station has two main components. The integrated sensor suite (ISS) and anemometer. The ISS includes rain collector, temperature and humidity sensors, and solar panel. The anemometer measures wind speed and direction. The ISS is mounted about 10ft off the ground in the backyard. 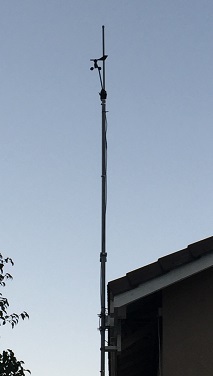 The anemometer is mounted on pole on the side off the house. Both the ISS and anemometer send their data using a wireless connection to a Davis Instruments 6316 Wireless Weather Envoy located inside the house. The envoy records all the data in its data logger. The Envoy connects a computer via USB. Weather Display is the software that runs on a Windows 10 computer that collects and analyzes the data from the data logger. Weather Display also is used to upload the live and historical information to this website. 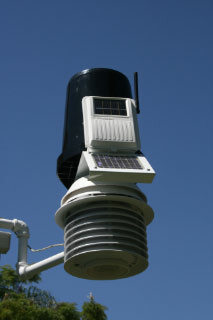 The weather data is quality checked by comparing this data to a predicted value based upon an analysis of the data from other local weather stations submitted via CWOP. I receive notifications when this data varies too far from the other stations.. The current quality status can be viewed at CWOP Quality Information for DW2585. GRLevel3 Version 2 is used to display the radar images on the website. GRLevel3 is a Windows viewer for live and archive NEXRAD Level III data. 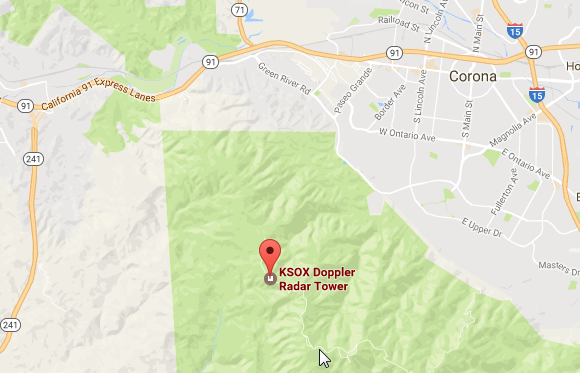 The radar data displayed on this website is from the KSOX radar located in the Santa Ana mountains (approximately 10 miles south of this weather station). When rain is present, radar image updates from KSOX are typically 4 minutes apart. GRLevel3 allows viewing radar images down to the street level, display of watches and warnings, and indicate the presence of hail. The webcam images are taken with a Hikvision DS-2CD2032-I. The camera points to the North towards the cities of Pomona, Upland, Claremont, Montclair, and Ontario. The San Gabriel mountain range can also be seen. The images are taken and uploaded to the webcam page every minute using IPTimelapse. IPTimelapse also captures images every 10 seconds. These images are used to create a daily time-lapse movie. The time-lapse movies start at 45 minutes before sunrise and end 45 minutes after sunset. The movies can be viewed on YouTube.